Joe Gomez, Alex Oxlade-Chamberlain and Rhian Brewster are all starting for Liverpool U23s today against Leicester City in Premier League 2 today. Some Liverpool fans were hoping Gomez would be in contention to play against Chelsea, after appearing on the bench midweek v FC Porto, but the smart decision has been made to give him game-time in Premier League 2 and not throw him in at the deep end. After all, it’s been almost five months since Gomez last featured. He’s missed more of the season than he’s been available for, in fact. 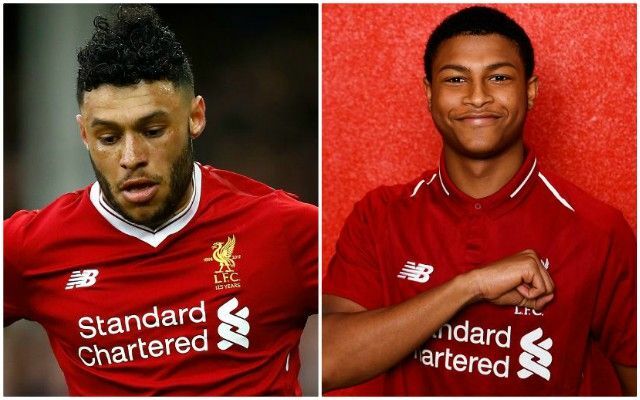 Brewster scored a brace last time out for our second-team and will be hoping to get on the score-sheet again – while Ox will simply be wanting to get through the game without picking up an issue. He made a return to the U23s in March, but it was short-lived, with the midfielder leaving before the half-time whistle with a slight hamstring issue. The full lineup is as follows: George, Gomez, Lewis, Hoever, Johnston, Coyle, Camacho, Oxlade-Chamberlain, Brewster, Woodburn, Jones.